In many ways I really dislike this category. 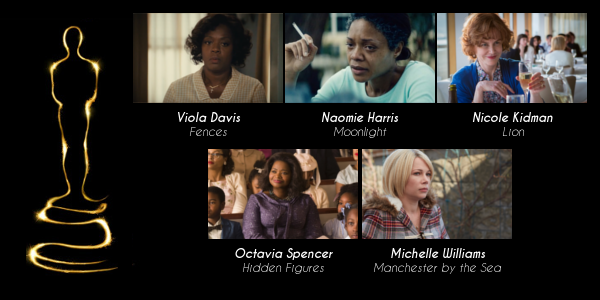 It isn’t the fault of the Academy or the nominees, but since the studios are able to put forth whoever they want for supporting we get lead performances like Viola Davis in Fences nominated here. 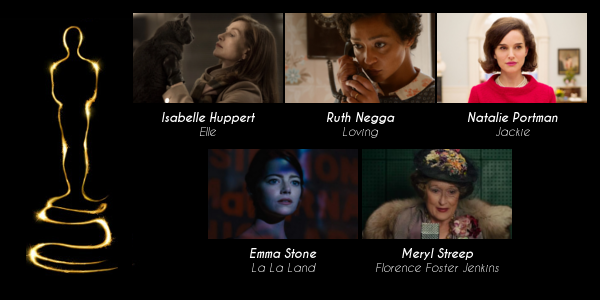 And though her role in the film is definitely larger than the other nominees, she will run away with an award that should be going home with Michelle Williams or Naomie Harris instead. 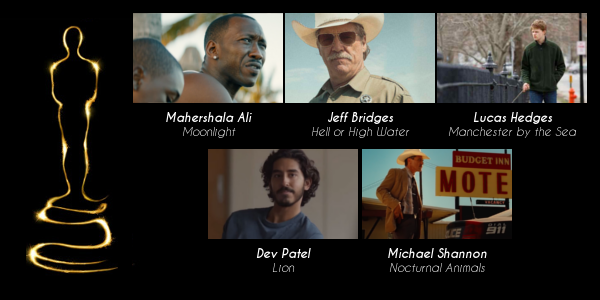 While Best Supporting Actor is completely loaded with quality performances this year I don’t see many challenging Mahershala Ali for his moving, albeit small, role in Moonlight. There could be a small threat from Dev Patel, who also delivers tremendous emotion in Lion, or Lucas Hedges, whose performance luckily wasn’t lost behind the two leads in that film, but the powerful nature of Ali’s performance should make this a landslide decision. There is no question that Emma Stone has become not only one of the better actresses in Hollywood today but she well on her way to becoming an award show darling. If she wins, which looks likely at this point, it will be completely deserved but I can’t help thinking that others have an outside shot. The two actresses I reference are Natalie Portman, who makes the Jackie an immensely better film with her performance, and Isabelle Huppert, who not only delivers a great character in a twisted film but also has the added boost of being international. Neither one of them pose a huge threat to Stone’s chances but it’s not completely a lock either. Can we just skip this one? Is that possible? No? Alright well here we go. I have absolutely no idea who to predict here. 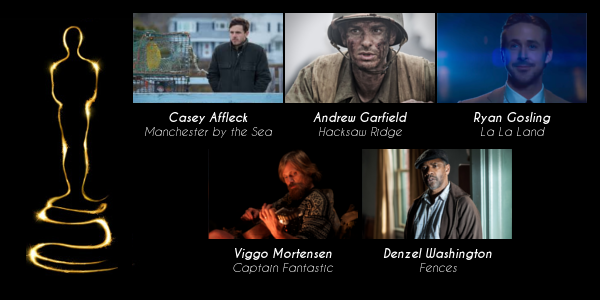 It’s hands down a two man race at this point between Denzel Washington and Casey Affleck but throw in the added factor of a possible split vote and maybe, just maybe, Andrew Garfield could steal it away (despite being nominated for the wrong performance i.e. he was better in Silence). Up until the SAG Awards I, and many others, figured Affleck had it in the bag. Then everything changed and statistics were looked into and the odds favor Washington. It’s too close to call but since I have to pick just one I’ll go with Affleck. 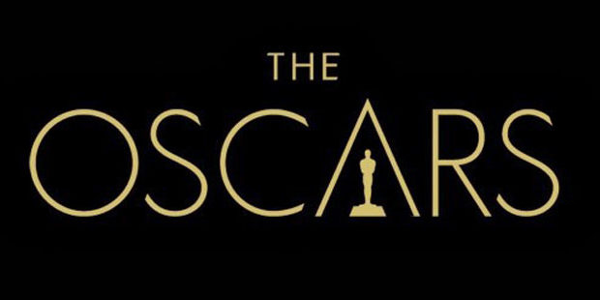 In another category that seems straightforward but could take a turn if the Academy decides to spread the wealth, Best Director really boils down to two frontrunners. Barry Jenkins arguably does more in the way of constructing an emotional and poignant narrative that’s likely to move anyone who sees it. On the other side is Damien Chazelle, who crafts a big, elegant old Hollywood style musical brilliantly. 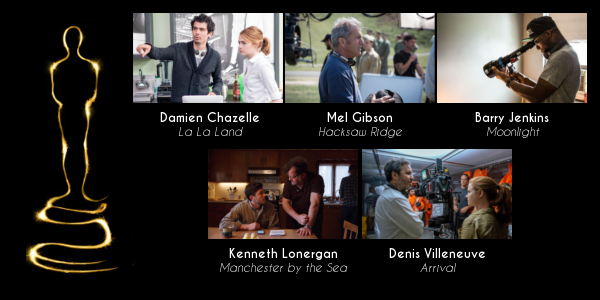 Ultimately Chazelle will likely win but either one of them deserves it. Here we go. The big prize, Best Picture. And it’s going to La La Land. There really isn’t much doubt here. It tied a record for most nominations for a single film so clearly the voters love it. It’s an exceptional film that is not only a musical but about Hollywood itself. Personally I would choose Moonlight despite enjoying La La Land more. Moonlight just seems like a film that will be talked about for years and it’s well crafted to boot. Yet I don’t see any scenario where La La Land doesn’t win. Well that does it, the final awards for the 2016-year in film. Are there any that you don’t agree with? 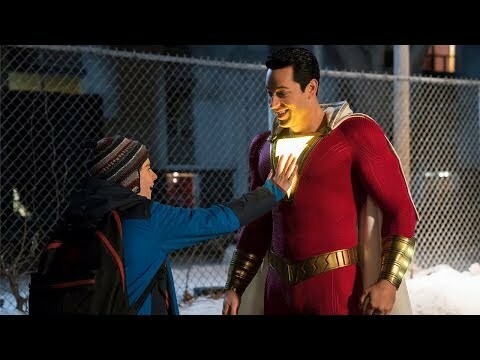 Are there films that weren’t even nominated in 2016 that deserved more attention? 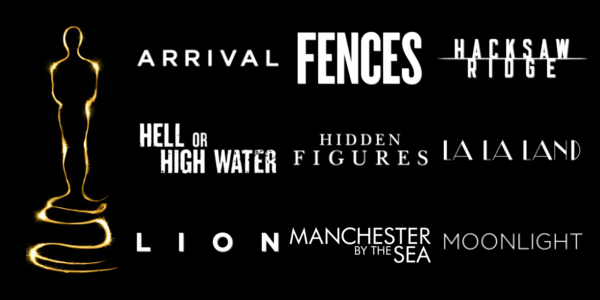 Regardless of your personal preferences, I think everyone can agree 2016 was a great year for film and here is to hoping 2017 can keep it up. Subscribe, share, comment below, and as always return to I Am Sam for weekly reviews and insight.